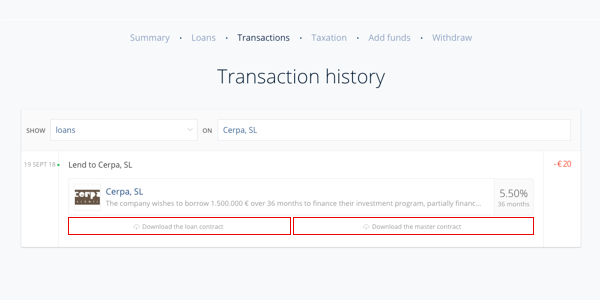 How to download the loan contracts? In which language will be my loan contracts? Your loan contract will be either in French, Spanish, Italian or Dutch depending of where the company has its headquarters. Indeed, the loan contract in the language of the company's country of origin is the only one to have a legal value. Nevertheless, you will be offered an informative version in English before signing it.